The season is definitely turning here in South Devon – the frogs in our garden pond have already passed the peak of their mating activity and the weeds are full of spawn. I’ve already heard Blackcaps trying out tentative snatches of song in the park outside our house. Sunday was the first really warm day of the year and felt more like May than February. 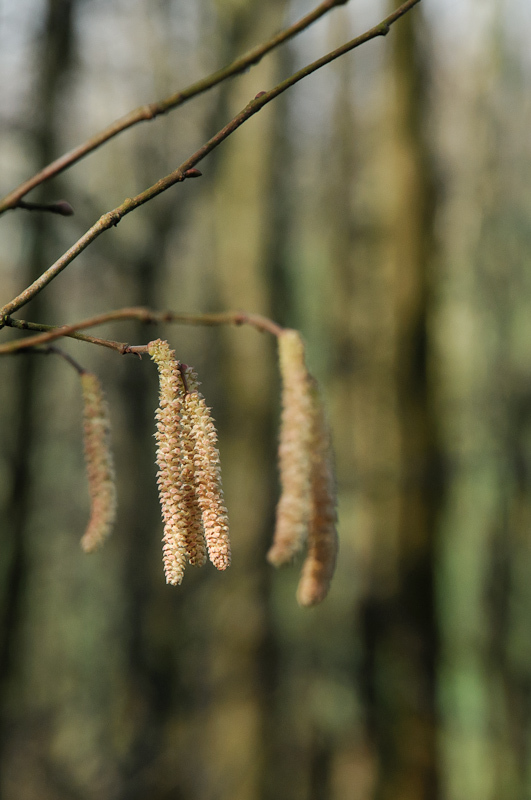 Most weekends I visit the 200 acre Broadhempston Community Woodland near Totnes – going back to the same place once a week really lets you watch the changes that take place so swiftly at this time of year. As I got out of the car this weekend the first thing I heard was a noisy flock of Fieldfares in a nearby Oak tree. During the harsh weather last winter huge flocks of migratory thrushes were pushed into Devon in search of food, and for a few memorable days we had them feeding on fruit and seed thrown out on our snow-covered back lawn. This year has been far milder, and these were the first Fieldfares I’ve seen all winter, so it was nice to catch sight of them before they head north to Scandinavia to breed. 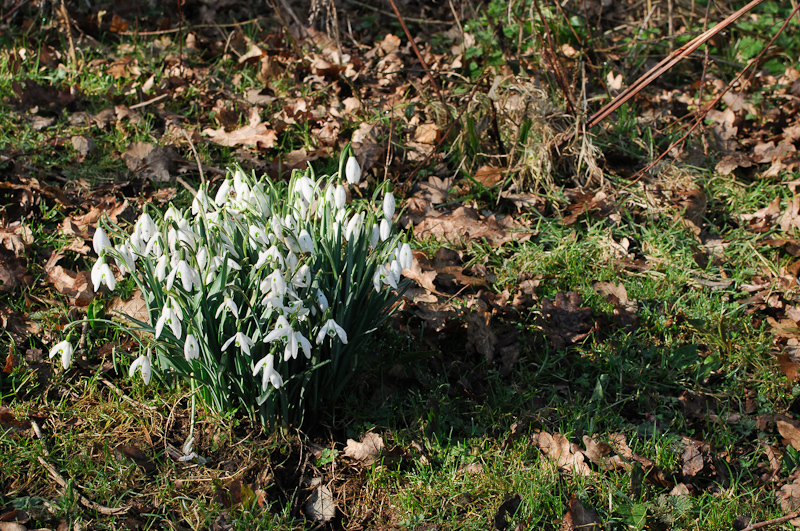 Near the entrance to the woodland, Snowdrops, the traditional first spring flower were still in bloom. These have been out for a couple of weeks in this area, but this clump was holding up surprisingly well. 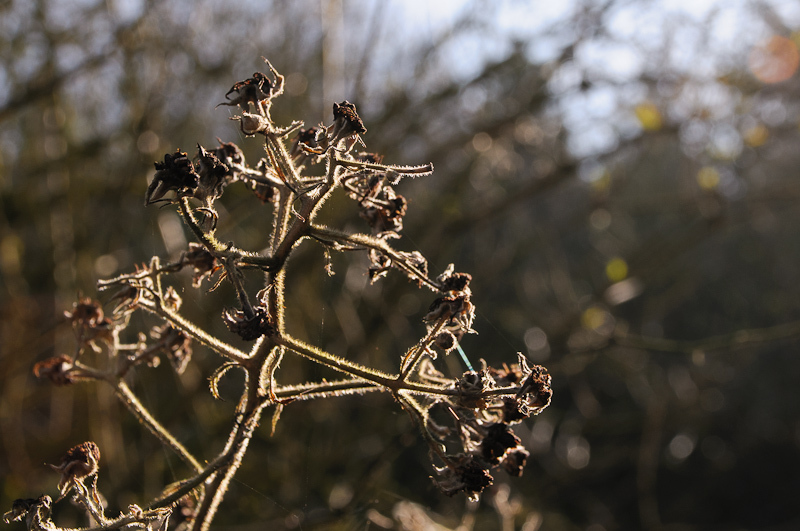 The brambles along the trails are still bare and brown, but already the Hazel catkins are fully developed. 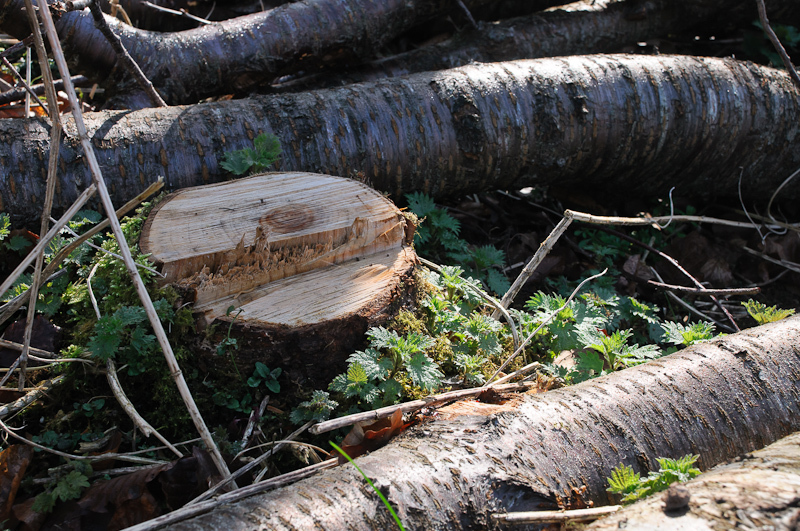 Most of the woodland at Broadhempston is less than 20 years old, and as the trees mature thinning is needed. 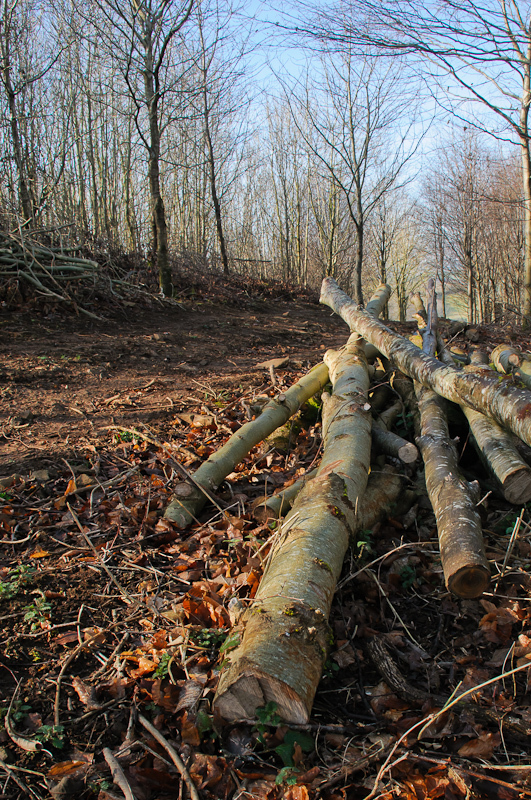 Several areas have been cut this winter – I’m not sure if these piles will be taken away to be used as firewood eventually or left as hiding places for bugs, reptiles and amphibians. Around the base of some of the freshly cut trees this year’s nettle crop is already springing up. I’m always surprised by how completely nettles vanish over winter – the rank secondary growth you see in late summer seems quite sturdy, especially if you try and push through it, but by now last years stems are all but gone. Most of the woodland is native species, but there are a few areas of conifer plantation with an eclectic mix of species. 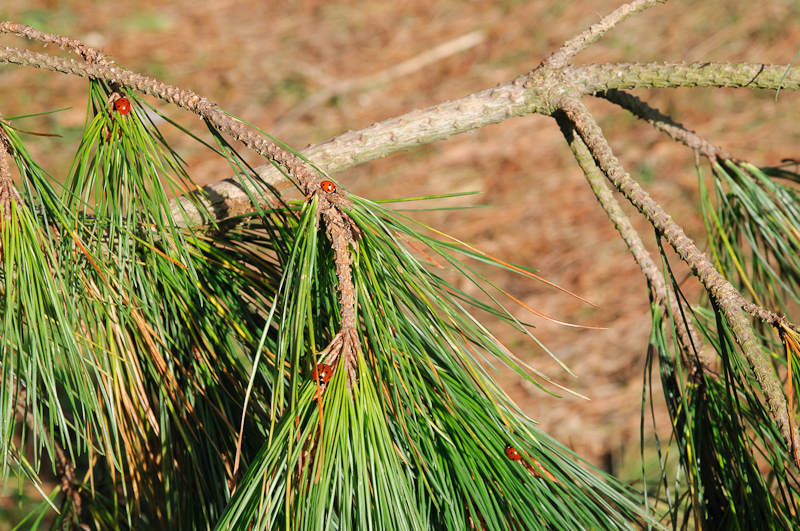 On a Monterey Pine, 7-spot Ladybirds were sunning themselves – presumably the dense foliage offers good cover for hibernation. 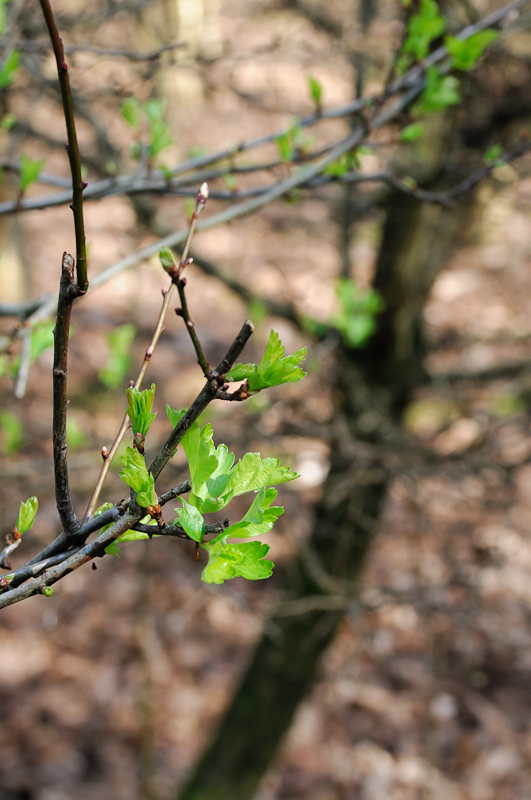 In the sheltered rides between the conifers, Hawthorn leaves have already broken out their buds. 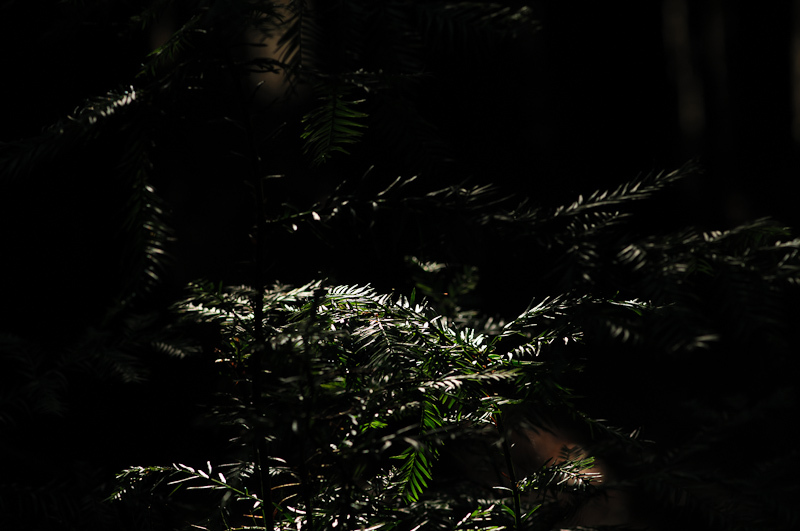 Further down the ride, the Larch plantation gives way to a more unusual tract of Coast Redwoods. Unlike the twilight silence of most forestry plantations, these trees always seem to be full of life. Beams of sunlight penetrate the canopy and illuminate the strikingly coloured bark on the young trees. 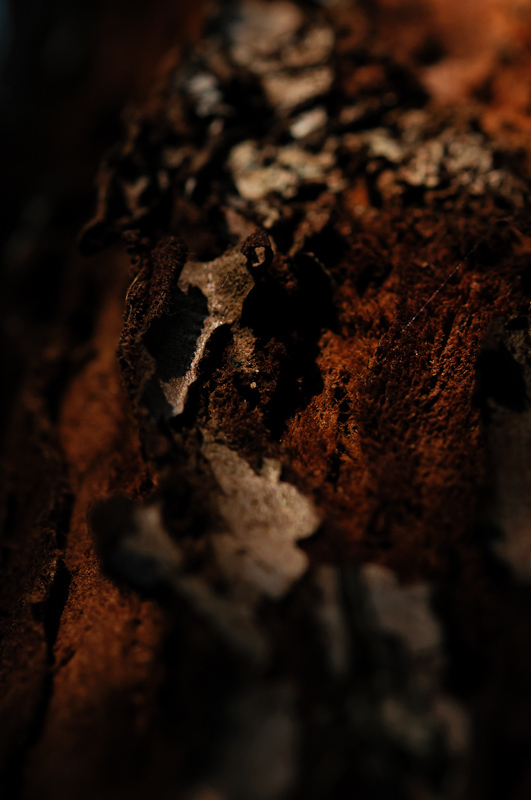 Close up the bark is fascinating – hard outer scales covering a thick fibrous layer that falls away in chunks. This looks like it would make great firelighting tinder, but after bringing some home and testing it I discovered that in fact it pretty much refuses to burn, even when a match is held to it. Not surprising perhaps in a tree that has evolved to survive the wildfires that sweep through the Californian forests! 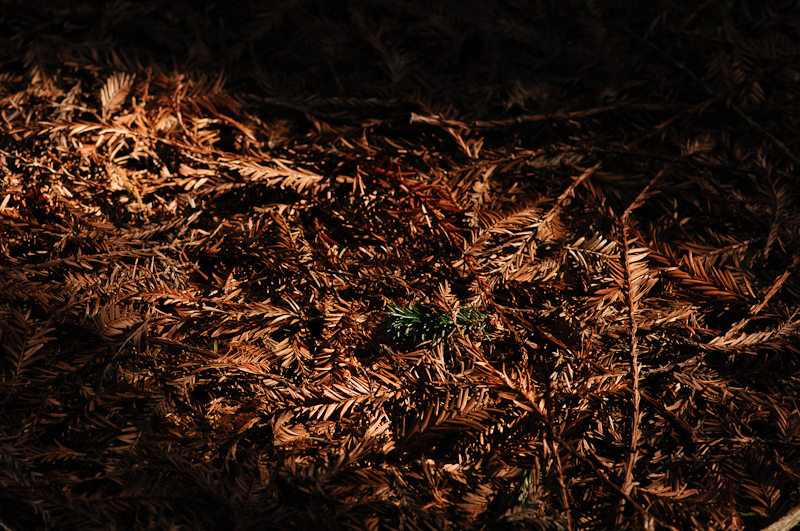 The floor of the plantation is covered with a deep carpet of the distinctive Redwood needles, which will remain dry even if the soil underneath is soaked. 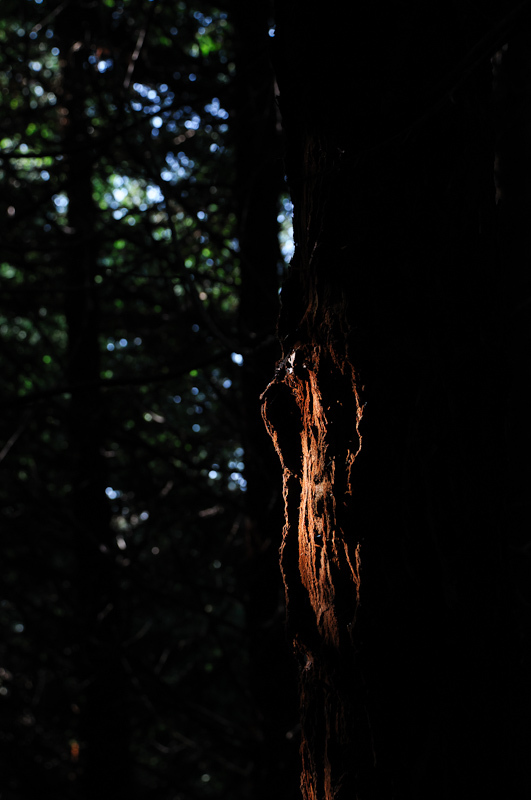 Where a thin spot in the canopy allows enough light to reach the ground, Redwood saplings have sprung up from the roots and stumps of the larger trees. Leaving the conifers behind I walked down to the large pond in the lowest part of the woodland. 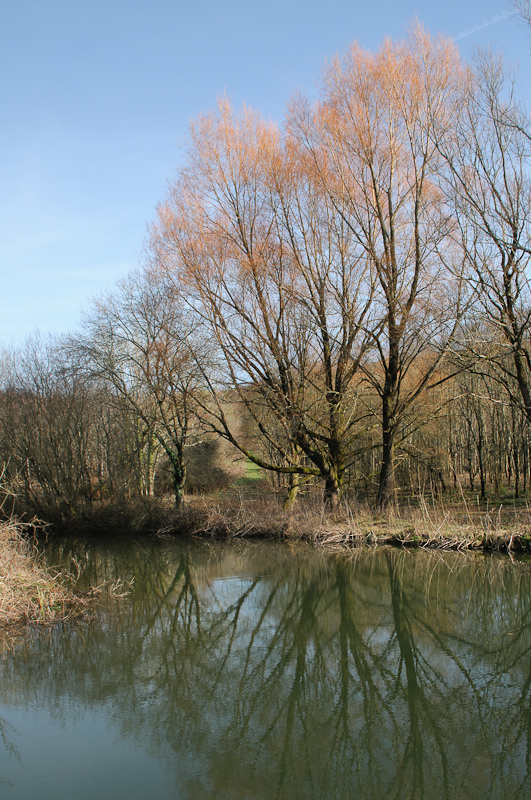 Here most things are still dormant, just a few frogs croaking amongst the reeds and the bare shoots of the Golden Willows catching the sunshine. Andreas: How did you mount them ?